We are back! After a busy birthday and holiday season we are now going to be posting much more. My outfit seems very reminiscent of a preppy school girl with the headband, pearls and crew neck sweater. 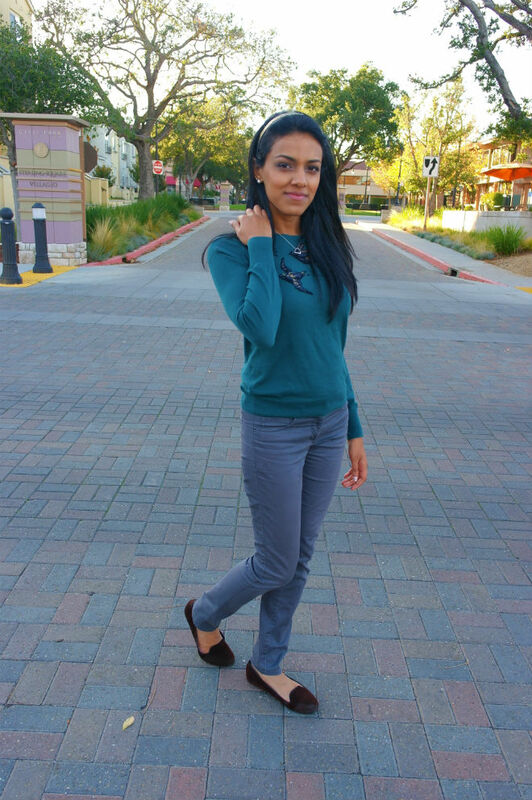 It's not a slouchy big sweater that we see everywhere now. 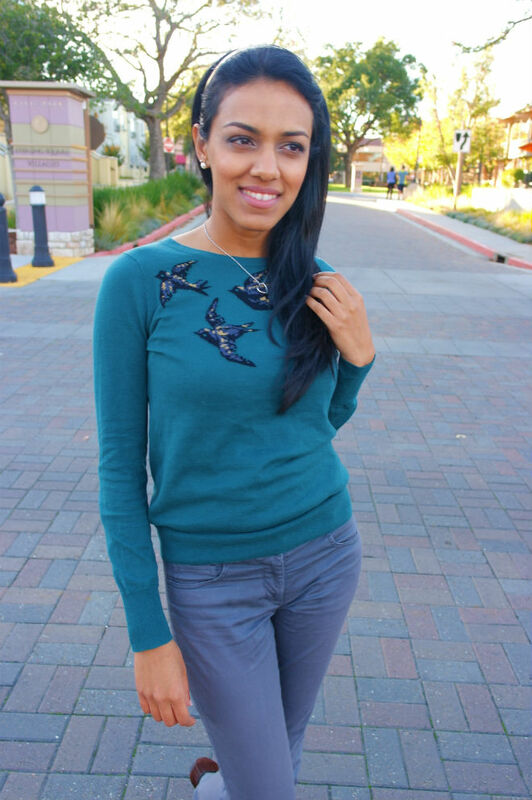 It's small and fitted and the swallows on the sweater make it girly and sweet. I feel like I am more studious and belong in the library. 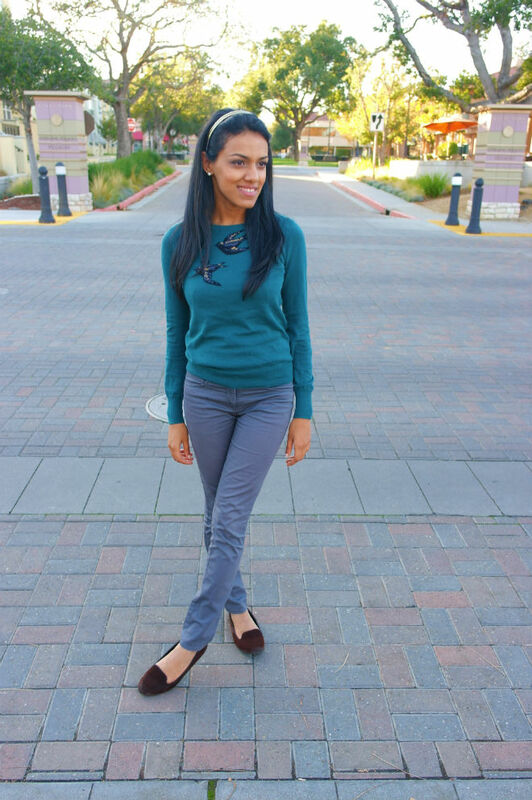 I love wearing these pants because they fit well and are a less casual option than jeans. "This is my go-to look when I want to be inconspicuous, run to the market, or do some people watching. With my hair pulled up, big shades, and shapeless cardigan I feel incognito but still stylish. My new lace-up booties from Bakers have become my favorite everyday shoe. They are so comfortable, match with everything I own, and still add a good couple of inches to my height :) "